At long last, a book edition – and a swell hardcover, no less – collecting Ethan Rilly's excellent Pope Hats series. 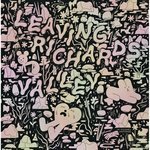 Only, it turns out, Ethan Rilly is really... Hartley Lin*! 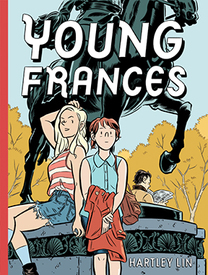 So, now we have Young Frances by Hartley Lin. A finely crafted tale of young urbanites navigating the worlds of work and life as they come of age in 21st century North America. Recommended. Still not convinced? Then make your own mind up by checking out this PDF preview.